 On Sunday 11 March 2018, some 35 000 cyclists of all ages, shapes and fitness levels will line up for the Cape Town Cycle Tour. The Cycle Tour is affectionately known as ‘the world’s biggest fun ride,’ but make no mistake about it, physically it’s still a very genuine challenge and whether you have aspirations of joining the exclusive sub-three-hour club or just want to beat the guy in the Garfield suit, here are some top tips to get you through those 109-kilometres around the Cape Peninsula. “Include a session with four to six hills between one kilometre and three kilometres long once a week into your training regime,” says cycling Coach Barry Austin, who’s mentored the likes of John-Lee Augustyn, Jacques Janse van Rensburg and Louis Meintjes to pro-stardom. “Ride at the maximum effort you can maintain up the hill without seeing the sun disappear under the mushroom cloud caused by your exploding legs,” he says. You know that effort level just before the wheezy breathing. Complete rest between each hill interval. Slacker (the guy who still has last year’s Cycle Tour number sticker on his bike): do this sometime, somewhere before the race, just to check your bike is working. Newbie (first Cape Town Cycle Tour): Once a week. Social rider (looking to finish in a time of between four and five hours): Once a week. Sub 3 racing snake (serious cyclist with at least 6 weeks of base miles in the legs and on a periodised training programme): Once a week. Also called ‘endurance miles’ or LSD’s (long slow distance). “Choose undulating terrain and ride at a pace that you can hold a conversation,” says Austin, explaining that you should only have to compose yourself every few mins by taking a deeper breath. Slowly build up the hours over the next 12 weeks toward race day. Slacker Recommended to do a few times if at least to only test your backside ‘fitness’ and catch some rays. Newbie Build up to a 3-4 hour ride at least once a month. Social rider 3-4 hour rides once a week. Sub 3 racing snake 3-4 hour rides twice a week. Make sure to reward yourself with an easier week every three to four weeks by doing up to 60% less than the normal training weeks. Fuel your body in training and in racing. There is no use building a V8 engine and fueling it with air. Warm up for 30 minutes at a moderate pace. Ride flat-out for 1 minute. Ride flat-out for 2 minutes. Ride flat-out for 3 minutes. Ride flat-out for 4 minutes. Ride flat-out for 5 minutes. Repeat back down from 4 to 1 and then recover at an easy pace for 15-30 minutes. Slacker Avoid. Period. It hurts. Newbie Avoid like the plague until you really feel up to it or feel you are progressing fast. Social You can take a stab at it if you feel the need to hate yourself a bit, but only if already well into a proper training regime. Sub 3 racing snake Include once a week in the last few weeks before the big one. “Learn to ride in a group,” says Austin. “You can save between up to 30% energy by riding effectively in a group.” According to Austin, that equates to shaving some between 15 and 30 minutes off of your Cape Town Cycle Tour time. “Without becoming any fitter,” he says. He recommends focusing on the upper body and head of the rider in front of you, and to avoid staring at their back wheel. The best way to learn to do this is join local club rides or to enter smaller races in the lead up to the event. Just remember, if you are going to hide in the bunch and not take turns pulling on the front, it’s not cool to sprint over the finish line. Besides – it’s the fun ride champs, right?